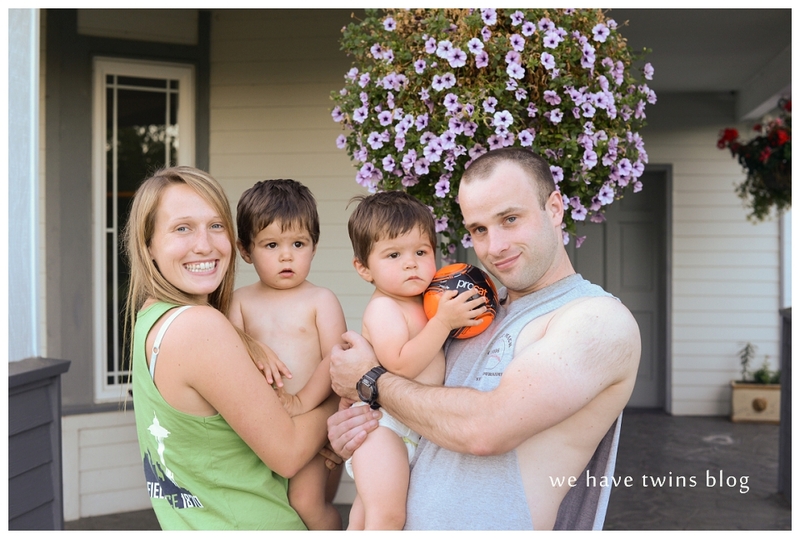 August | 2014 | We Have Twins?! On some Thursdays, I’ll share something random that I’m really liking, enjoying, or appreciating. Just a little post to share a little snippet of life right now. I’d love to know if you also like these things, and what you’re randomly into these days! Really, I am so blessed. 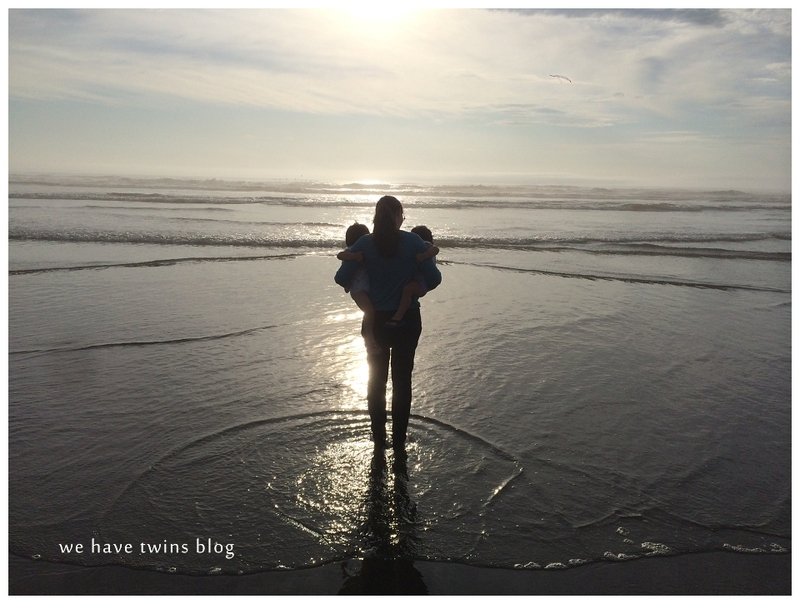 I am pretty sure I’m a mostly-mediocre mama (ooh, that would’ve been a great blog name! ), but these two little creatures are pretty wonderful. They’ve recently started to give kisses, on demand but also sometimes on their own. 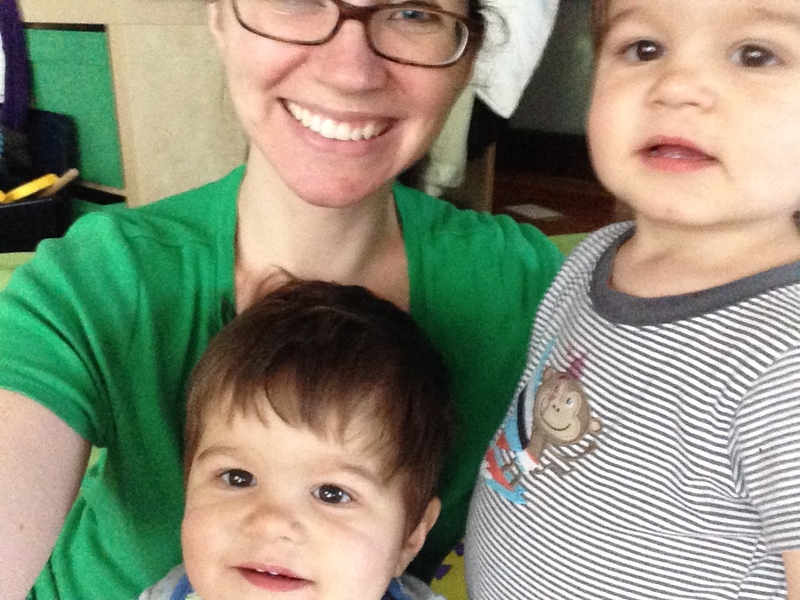 Their little faces light up when I come get them, they touch me and say, “mama” in those adorable little voices. They love getting tickles and playing games and singing songs and being silly–and getting cuddled. They still back up and sit down in my lap to read a book, and sometimes their little hands rest on my arm, and I snuggle in to their thick hair and give them kisses and hugs. They are amazing. And a handful, and overdramatic. And the cutest, most incredible things. They really do make me happy when skies are gray. Or blue, or any other color. I love them so much. After last year’s successful trip to the coast, I have been so excited to do it again! This year we decided to go for two nights, to give us more time to play. 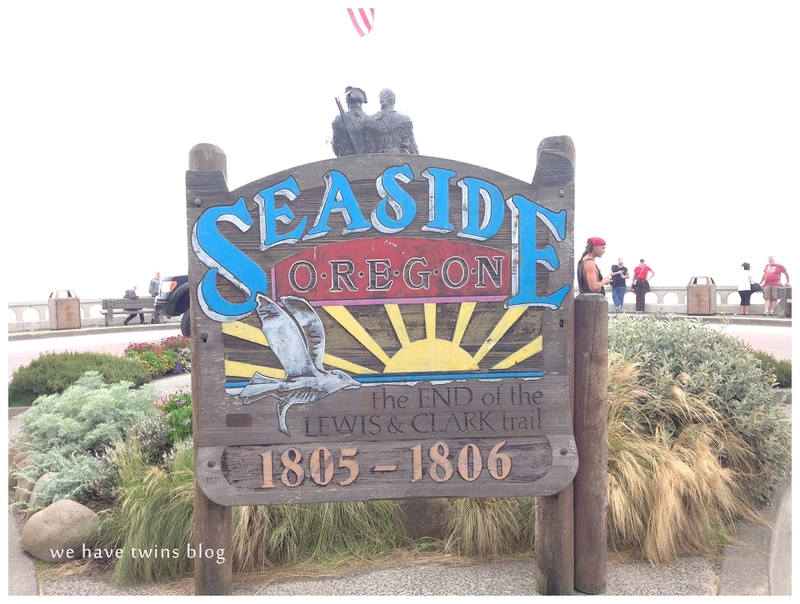 We stayed in Seaside this year, to be closer to more action. (As opposed to last year in Tillamook, where just the dairy was nearby.) We missed out on the sunshine…but that actually ended up being really nice. We didn’t have to worry about sunscreen and shade and all that jazz. It wasn’t cold but it wasn’t hot; it was actually quite pleasant. We brought a ton of stuff with us, as always. 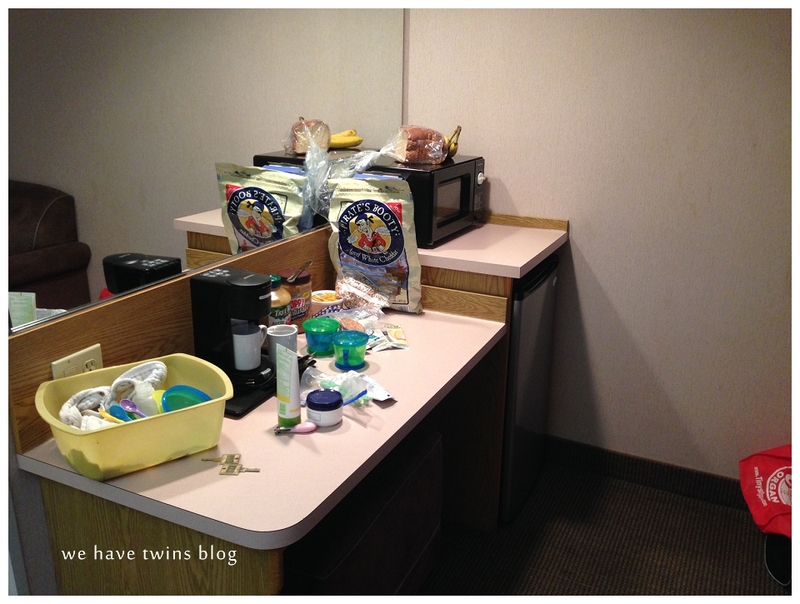 Mainly food and food-related equipment, but also toys and books. It’s like we moved in or something. We had a king room with a sitting area (a couch). We moved the couch to be a divider and set up the pack and plays on the other side. The babies quickly found the dresser drawers (and slammed their fingers a few times) and the AC/heater unit flap thing (which they kept playing with). NOTE TO SELF: Bring painter’s tape next time!! Seaside is a pretty small beach town. They have a carousel in a little ‘mall’, and then a little main drag with restaurants, gift shops, candy stores, and arcades. 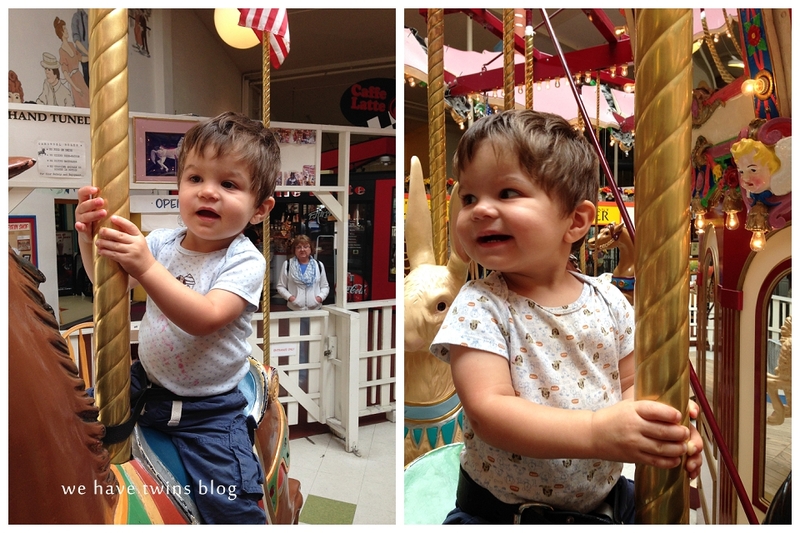 Our guys loved the carousel–we stayed on for a second ride and they wanted to stay longer! 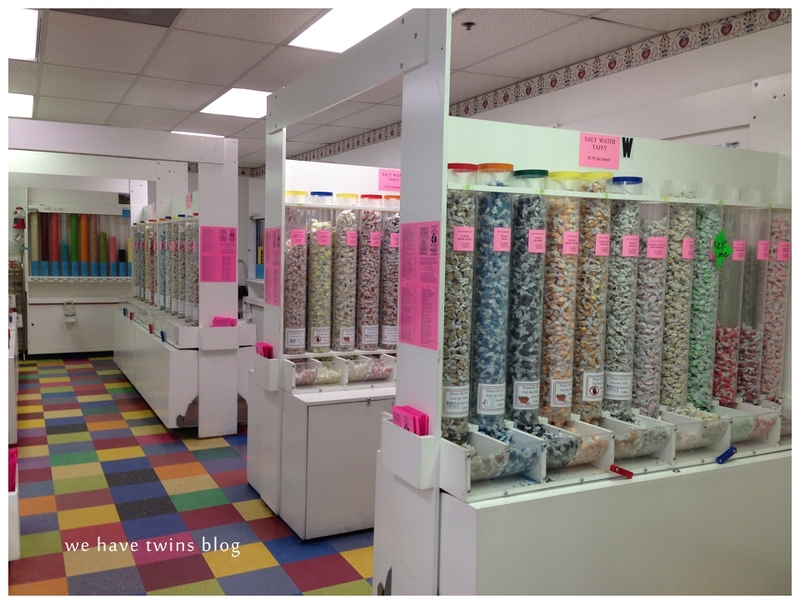 We had to stop in at this huge candy store with racks upon racks of taffy! 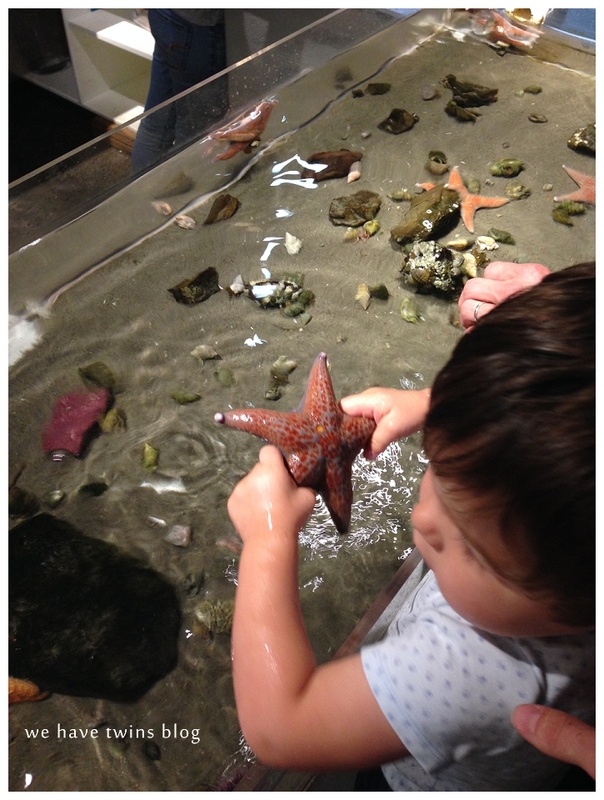 We visited the little aquarium. At the front is a little seal enclosure. The dudes definitely loved watching them! Even though we got splashed a bit by the seal antics. BIG BAD NEWS: My camera got broken on Thursday. 😦 😦 One of our curious and handsy toddlers pulled it off the dresser and apparently it messed up the shutter mechanism. So I was then left with only my iPhone to take pictures for the rest of our time. Cue a very sad and stricken face. 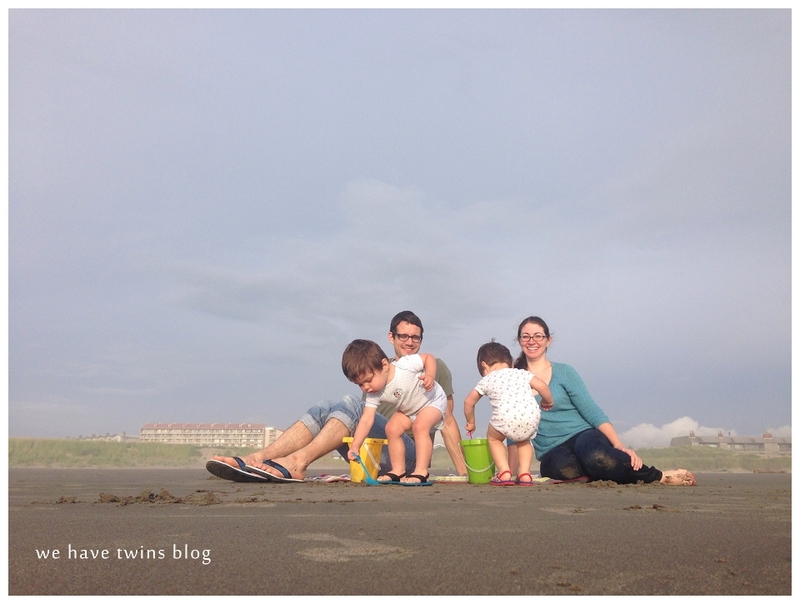 I felt a little naked and panicky at the thought of no real camera, especially since I was really looking forward to doing another family beach photo! By the end of the day, the sky was clearing a bit. 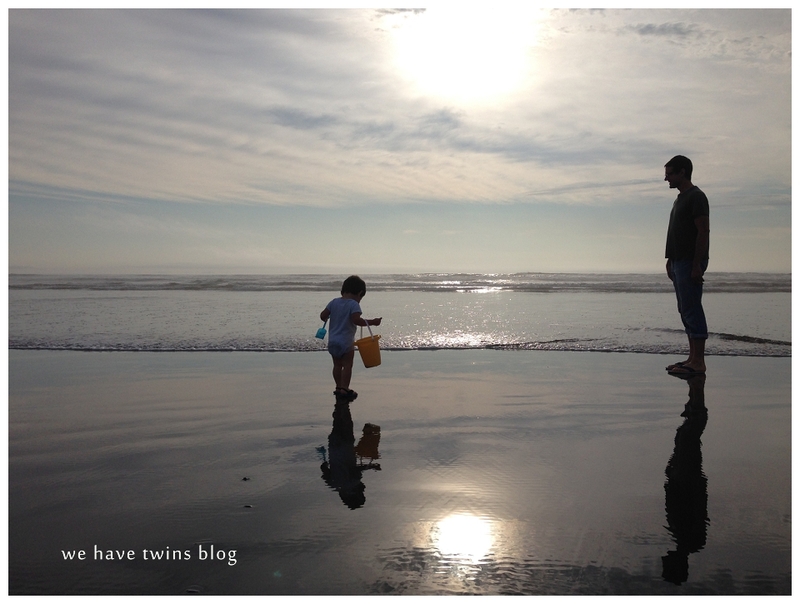 We went to dinner in Gearhart (just up the road from Seaside) and went to the beach there. It was nearly empty compared to the very busy Seaside beach! The light was ah-maz-ing…and I didn’t have my big camera! Sob. I set up the iPhone timer app and got this one above, which is a good sister photo to last year’s. 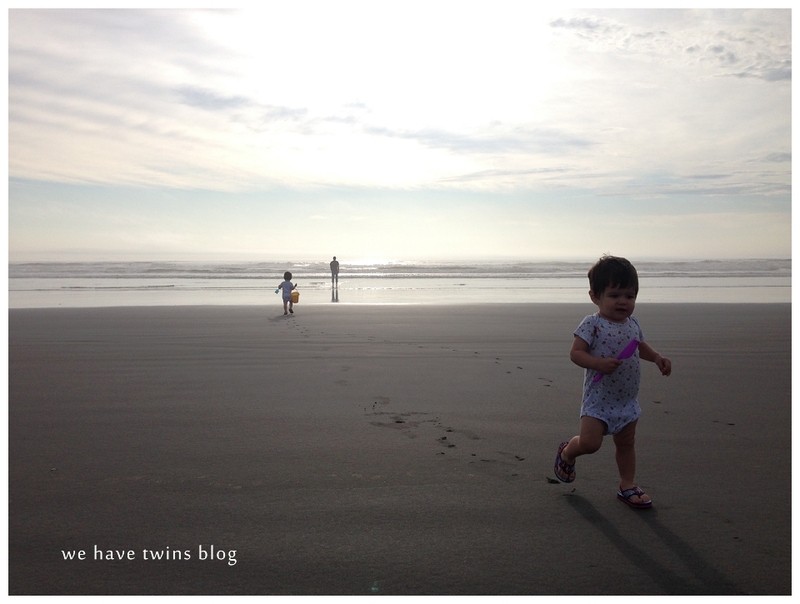 Friday was our last day (just the morning): more beach! 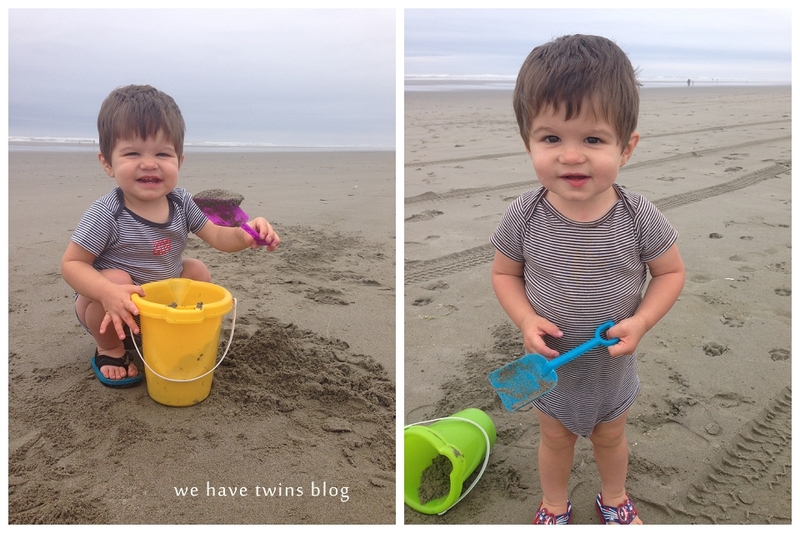 We went back to Gearhart again to have a nice quiet time playing in the sand. The babies would have probably stayed there all day with their buckets and shovels. 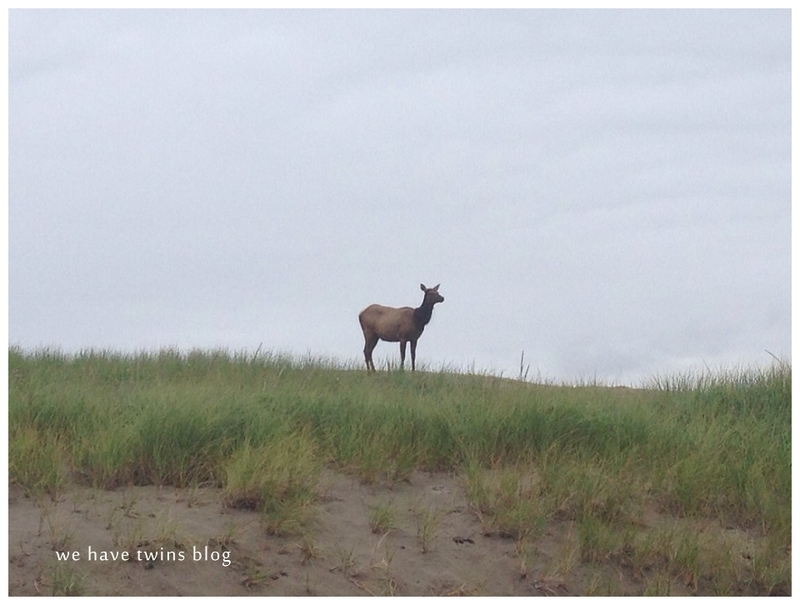 I saw some big animal prints on our walk in, and then on the way out, saw more…and then looked up and saw this! A young elk, I think? The drive home was a little longer than it was ‘supposed’ to be, but isn’t that how it always happens? 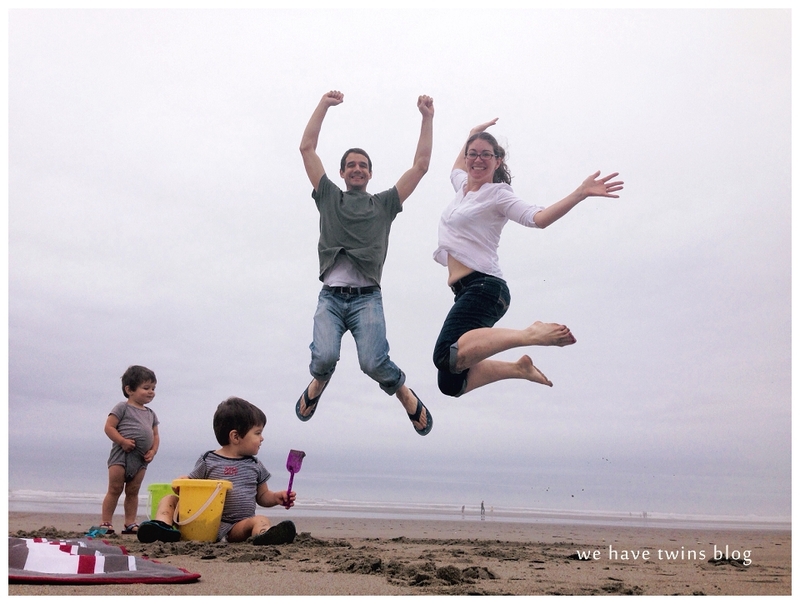 Overall it was a really good time–we loved seeing how much the babies loved the beach and playing in the sand. Plus it’s always a good adventure to explore new places. We hope to do a daytrip or two in the fall, and come back to play some more! 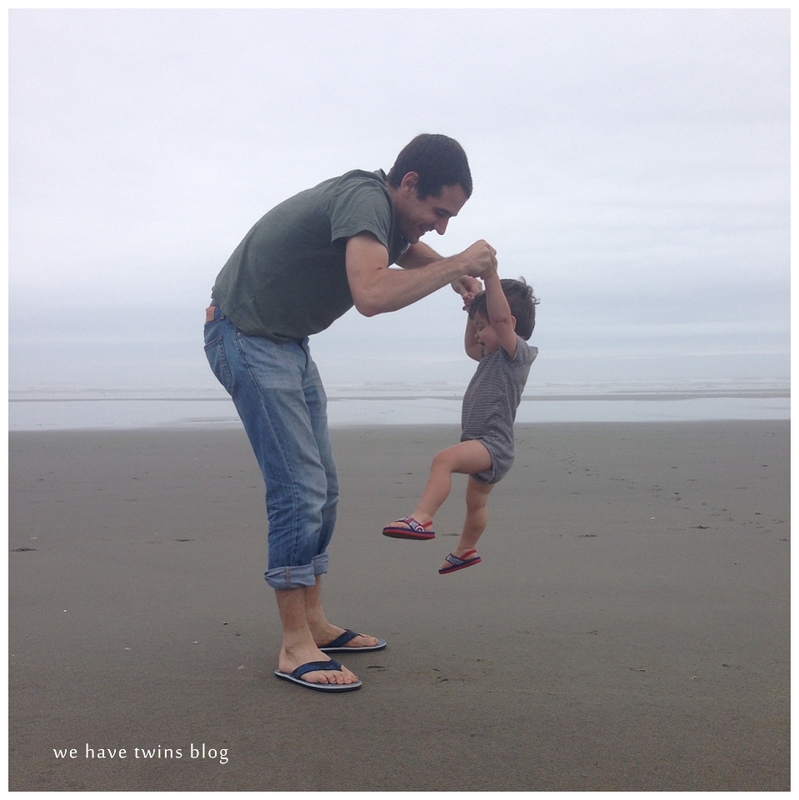 Last week, we spent a couple days in Seattle. It was a short visit, but always a good adventure. The Northwest was in the middle of a heat wave, and while our house in Portland has central air, neither of my parents’ houses do. Oh man, it was really hot. 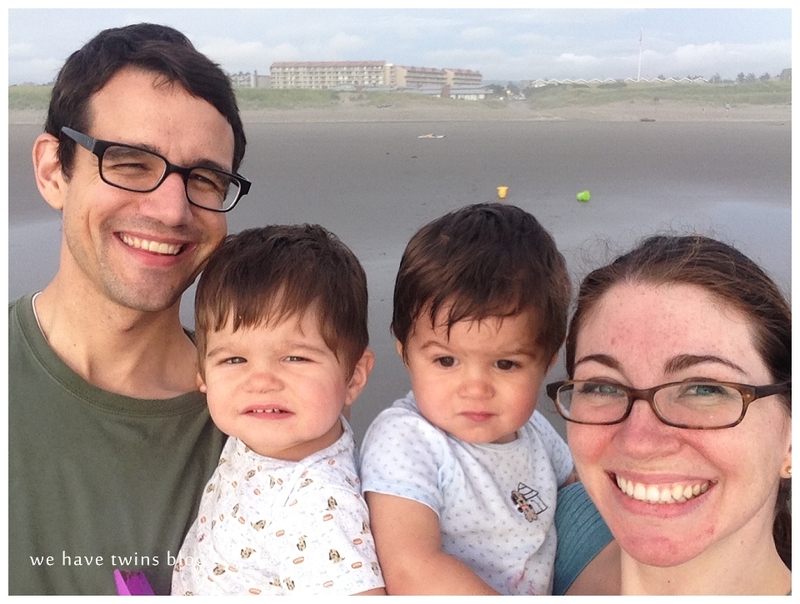 The twins were quite sweaty, especially after sleeping. But! 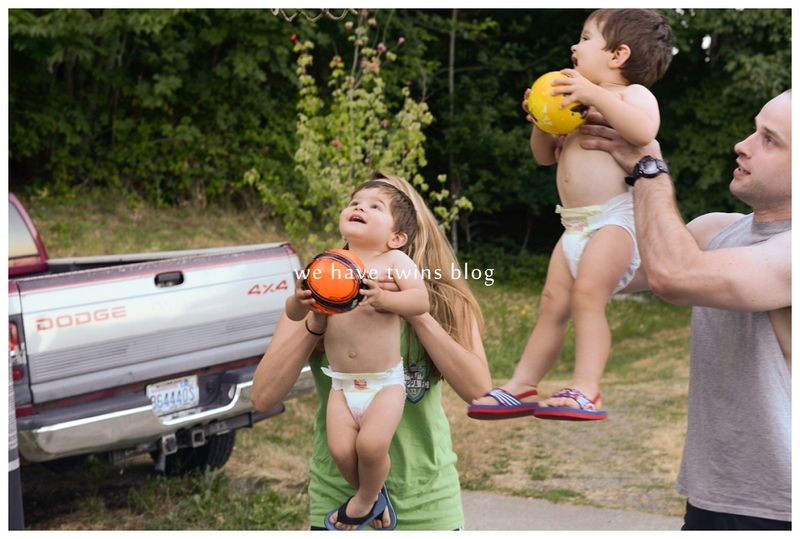 The heat meant that I could let them run around sans clothes in the evenings! Oh my goodness, it was so adorable! 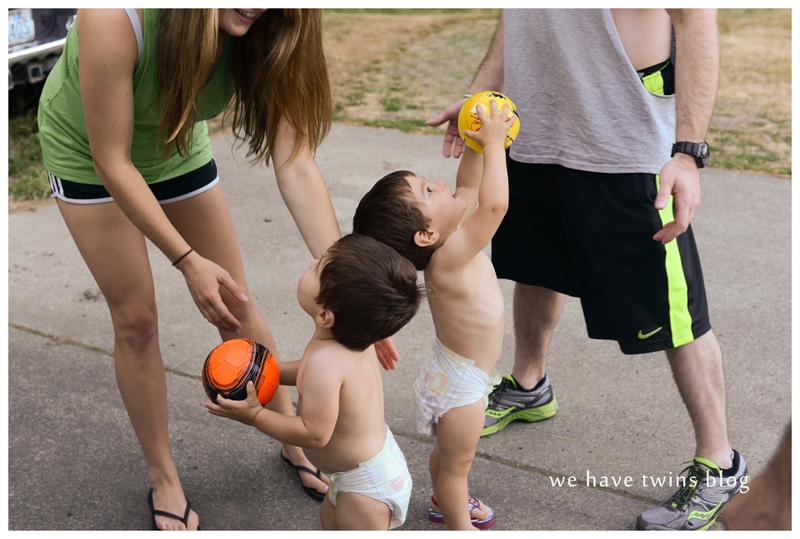 One great thing about this visit is that my little brother and sister got to see the twins and hang out with them a bit. It was wonderful to see them all bond! But oh boy, it was so amazing to come home to our own beds and our air-conditioning! Phew!